Apple has introduced a variety of new features with iOS 8. We’re all familiar with the major features the OS has to offer. These include third party keyboards, health kit and Apple Pay – which is to be expected in iOS 8.1. Included in this list of features are many subtle ones as well. These include several accessibility improvements and privacy options as well. 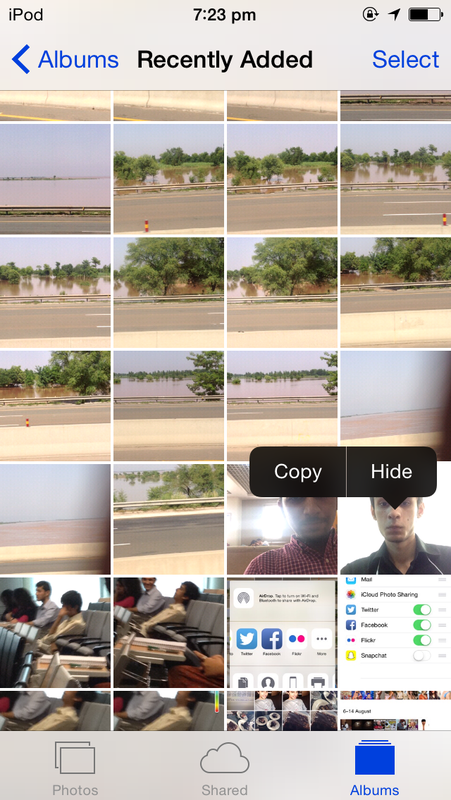 With improvements to the Photos app, you can now hide select photos and images on your iOS device. So for all those private images and pictures that you don’t want a stranger to take a look at when you lend your device, there’s an option to hide them all. All you need to do is tap and hold on the image that you want iOS 8 to hide. Tap on hide from the two new options that pop up. 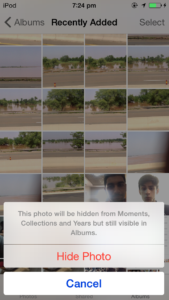 Doing this will end up iOS 8 asking you for confirmation to hide the image from moments, collections and years. Tap on hide photo and you’re done. Hiding photos is not the only way iOS 8 helps you with your privacy however. 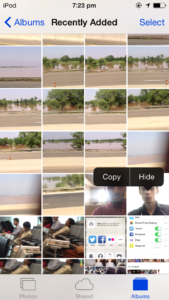 Family Sharing on iOS 8 provides you with several options to integrate your family’s devices. These includes options to create family photo albums, monitor your kids’ app store purchases and even keep track of their movement using find my friends (with consent of course). 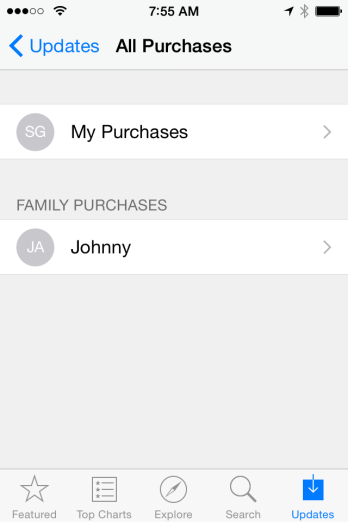 With family sharing you also have the option to hide your app store purchases. 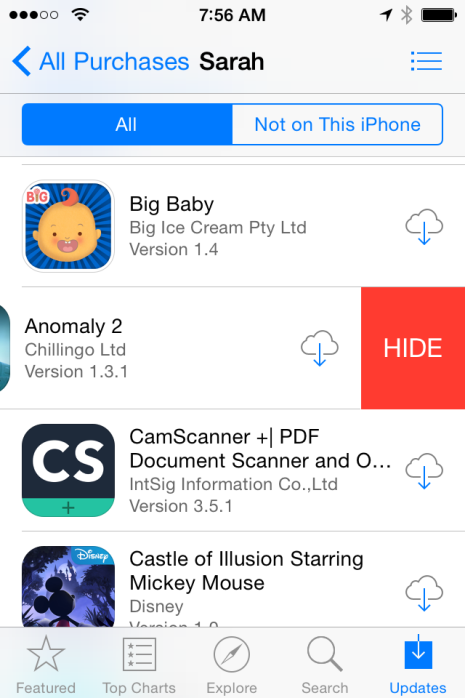 This option has become more easy to use with iOS 8 since you can now hide your purchases directly through your device. To do this, first you’re going to need to open App Store on your iPhone, iPad or iPod Touch. Head over into Updates>Purchased. Head over into My Purchases and then into Downloaded Applications. You will see the list of applications that you have purchased in the app store. Simply swipe an app from right to left to reveal the ‘hide’ option. And voila. You have hidden a purchases from your App Store list. Just bear in mind that while iOS 8 allows you to hide a specific purchase, this option does not require you to pay for the app again just in case you need to re-download. Let us know if you have any queries in the comments section.